It’s a defense-leaning list, with four defensive backs to go with an offensive lineman and a tight end. 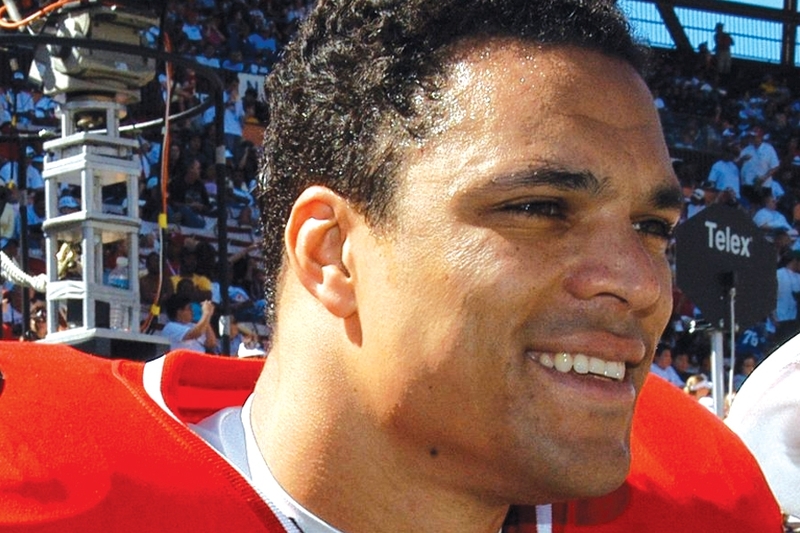 First and foremost is that tight end – Tony Gonzalez. His case basically boils down to the fact that he has a strong case as the best offensive performer at his position in the history of the NFL. He’s all over the all-time leaderboards, sitting comfortably in the top-10 in receptions, receiving yards and touchdowns – and not just at his position, but overall. He made 14 Pro Bowls and was a First Team All-Pro six times. He’s probably the closest thing to a guarantee on this entire list. Ed Reed has an awfully strong case as well. He’s widely considered to be the best safety of his generation and one of the best ever. Reed led the league in interceptions three times; his 64 career picks ranks seventh all time. Few were able to pull off big plays like him; he’s the all-time leader in interception return yardage and scored 13 non-offensive TDs in his career. He made nine Pro Bowls, was First Team All-Pro five times and was the 2004 Defensive Player of the Year. The third and final newcomer is cornerback Champ Bailey. While he doesn’t have quite the burnished credentials that his fellow first-timers possess, he had one hell of a career. He “only” had 52 interceptions, but he also is the all-time leader in passes defensed – he had over 200. Bailey was one of the best cover corners of his era, with 12 Pro Bowls and three First Team All-Pro nods. Cornerback Ty Law makes the Hall in his fifth year of eligibility. He certainly warrants inclusion according to the numbers. Law had 53 career interceptions, leading the league twice. He returned seven of those picks for touchdowns. He was twice named First Team All-Pro and made the Pro Bowl five times. He was also a member of the All-Decade team for the 2000s. Last, but not least is center Kevin Mawae, the sole offensive lineman to make the Hall this year. Over the course of his 16 years in the NFL, Mawae was a bastion of durability – he’s 21st all-time in games started. He was named First-Team All-Pro three times and made the Pro Bowl eight times. He was also named to the All-Decade Team for the 2000s. Mawae was elected on his fifth try. As for the other inductees, Johnny Robinson was an elite player in the 1960s. 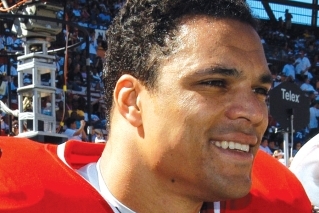 He was a six-time member of the All-Pro First Team and was named to seven Pro Bowls. He recorded 57 interceptions in his 12 seasons, the first two of which were spent as an offensive player. On the contributor side, Pat Bowlen has owned the Denver Broncos since 1984. The team has made seven Super Bowl appearances during that stretch. Gil Brandt is a legendary personnel man; his decades-long tenure with the Dallas Cowboys redefined player evaluation in the NFL. The eight-man Class of 2019 will be made official at the Hall of Fame’s induction ceremony, set to take place in Canton, Ohio on August 3. The recent run of players making the grade on the first ballot may well continue through the next couple of years. Just a few of the legends who will be arriving on the list in the near future. Safety Troy Polamalu, wideout Reggie Wayne and linebacker Patrick Willis are eligible next year, while 2021 is led by no-doubter Peyton Manning and practically-no-doubters cornerback Charles Woodson and wideout Charles Johnson. This year’s near-misses might be waiting a while longer.